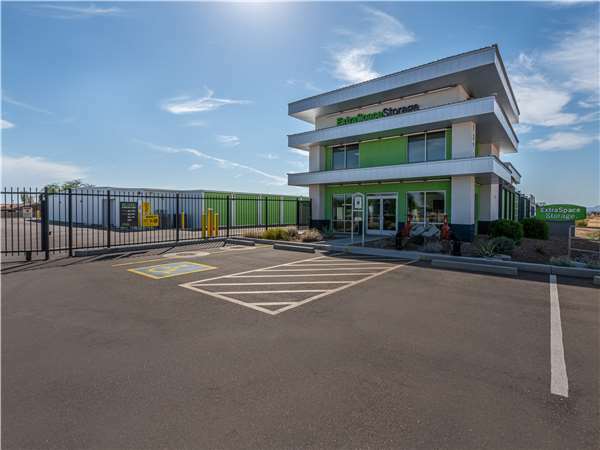 Located on E US Hwy 60 between S Mountainbrook Dr and S Kings Ranch Rd, Extra Space Storage serves residents of Gold Canyon and Apache Junction. Locals will recognize our facility just east of Gold Canyon RV & Golf Resort. Extra Space Storage on E US Hwy 60 offers a variety of storage units, climate-controlled storage, drive-up access, and exceptional security. We're the storage partner you can trust in Gold Canyon! No matter what you plan to store, our E US Hwy 60 storage facility has what you need! We have unit sizes between 5x5 and 10x30 with indoor access, first-floor access, and drive-up access. At Extra Space Storage, we care about the security of your property. That's why our Gold Canyon storage facility utilizes security features like 24-hour video surveillance and electronic gate access. Worried about storing delicate items? Protect them from extreme heat and cold year-round in a climate-controlled unit. This feature keeps your storage unit between 55 and 80 degrees no matter the season. Storage units with drive-up access make it easy to store bulky, heavy items! These units allow you to pull a vehicle into or up next to your storage space for hassle-free unloading and loading. Enclosed and protected, these drive-up units can also be used as a garage-like space for indoor vehicle storage. From our secure, well-maintained, clean facility to our friendly, professional team, Extra Space Storage goes above and beyond to ensure you get a high-quality self storage solution backed by excellent service. Contact us today to reserve a storage unit in Gold Canyon!